Crop Circle Update - The Wake Up Call - from Patty Greer Films - Enjoy the first 15 minutes of this wonderful award-winning crop circle movie! "Crop Circle Update - The Wake Up Call" may be the most advanced Crop Circle movie to date. NEW Crop Circle data is offered as the movie begins with daunting authentic footage of 2 Balls of Light creating a Crop Circle in seconds! You will see a visible band of coded communication directly between the 2 Balls of Light. 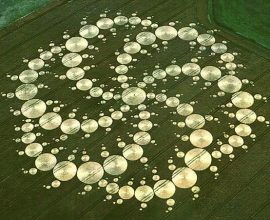 This happened just before they laid the Crop Circle down, and we think that THIS may be how real Crop Circles are formed. Possibly the first physical manifestation of ET communication that humans can see, we believe the Crop Circles may be encoded with keys of wisdom and formulas for advanced technologies, clues toward the evolution of our planet. Researchers believe that the messages are being delivered on a subconscious level through sacred geometric forms, mathematics, and codes. Could it be possible that we receive the messages by just looking at them? Appearing all over the world for centuries Crop Circles have mystified everyone. 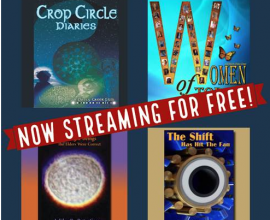 In this multi-award winning documentary you will be exposed to 30 years of incredible Crop Circle images dating back to the 1980′s. This movie won "EBE Award 2010 Best Feature Film-UFO or Related" and the "2010 Best Musical Score Within A UFO Program EBE Award" at the International UFO Congress Convention. It also received the "2010 Moondance Audience Favorite Film Award" and the "2010 Moondance GAIA Award." If you can't get to England to experience the Crop Circles for yourself this is surely the next best thing! 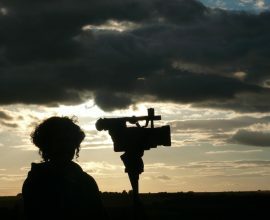 Savor the journey of a lifetime through the UK Crop Circles and ancient sacred sites of Southern England with a film maker who has visited more than 100 Crop Circles personally. You'll feel as if you are there with us!